These posts relate to my Kilimanjaro summit attempt. It’s official, I’m registered for the Mt. Kilimanjaro climb! I’m VERY excited! So far I’ve been having a blast doing hiking training with Ashton, Janice, Amy, Tomas and more. We’ve hiked at Umstead, Raven Rock, Harris Lake and I’ll miss an Eno River hike coming up, but there will be plenty more opportunities. 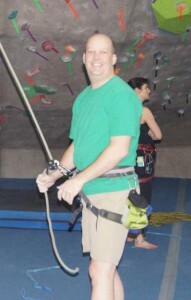 My largest reverse sponsor so far has been REI. Yes, I’m paying them (purchasing gear)… I have a good bit of outdoor gear, but I really need more to purchase more. I’m compiling a gear list for Mt. Kilimanjaro and will keep filling it up as I get more. Some things I can rent from the outfitter Tusker Trail such as my 0 degree sleeping bag and other things I simply need to add to my own collection of outdoor gear. There is no slowing down my interest in outdoor activities. Sometime in June/July I’ll head out to CO and meet my Uncle Keith to camp and hike some 14ers. After we acclimate, I believe we are going to do 3 in 3 days; one of those will be Pikes Peak, the others are TBD. Stay tuned to my website as I keep the blog entries coming! This entry was posted in Kilimanjaro on March 6, 2013 by dmcdowell. Hydration, what do you know about it? I’ve learned something clear about my body and how hydration impacts it, and most notably while skiing this past weekend I realized it wasn’t my lack of caffeine or sugar from my morning sweet tea that I love which caused my late afternoon headaches, it was dehydration! Over the course of my training for Kilimanjaro, I increased my liquid intake to at least 2 liters per day. I would say I’ve done a really good job of this. I have 20 oz of water during breakfast as well as 12-16 oz of sweet tea. I generally have at least 1 L of water during work and while working out I visit the water fountain frequently. While skiing, I might have managed 32 oz of liquid before hitting the slopes, 20 oz of that was Mt. Dew. Now I have no issue with a small bit of soda here and there, but I didn’t have any water again until lunch at 2PM after skiing for 4 hours. I managed 20-24 oz then headed back out for more skiing. Was I replacing what I was using? Not a chance! I had a whopper of a dehydration headache, but plenty of water and 2 pints of beer during dinner knocked it right out, at least “just enough”. The next day while traveling, I did not do a good job on catching up on the liquid I had missed the day before and had a headache again by the time I got home. I drank a liter of water and two 12 oz beers and started to get things flowing again. Finally on Monday I drank close to my normal amount of fluids, but I still feel like I’m catching up. Moral of the story? The Mayo Clinic suggests an average male should have 3 liters of fluids per day. Of course it would be a good idea if most of that is water. I’m not quite at 3 liters, but I’m getting there! Some tea and beer can’t hurt too much, and I’ll have soda here and there, but when you hear some people drink a 12 pack of diet Dr. Pepper every day, you just have to wonder what is happening to their body. Yikes! This entry was posted in Kilimanjaro on February 26, 2013 by dmcdowell. This evening I thought about summiting Mt. Kilimanjaro and how I’ve been thinking about it on and off for a while. I may have started thinking of this a year ago. Late summer 2012 Lisa Marie Albert landed a job in South Africa, opening another opportunity to visit Africa. I could visit her, go on safari. 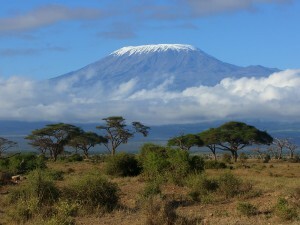 Thinking of Africa stirred the thoughts of Kili again. I thought to myself, how serious am I? I need to know if I can set the training regimen into action. I wondered, how will I motivate myself, what can I do to inspire? Without a daily reminder, Kili may not remain in the forefront of my mind. If I’m serious, actions must begin. I thought some images of the mountain might help. I sought out a few high res images on the web, some I could print larger than a regular sheet of paper. I want to post a few in places I’ll look every day. Maybe I’ll put one of the back of my front door, on my office wall, on my car dash? I’ve already added a photo as the cover photo to my FaceBook page. Will FB exist when you read this? Who’s to say. Now how will I document my thoughts about Kili, my adventure, things to help remind me to train, stories to share of the journey with loved ones in the future? Well, here it is. I’m typing each entry in plain text to be added to a book later with images along the way. Who am I? I’m a computer engineer, model railroader, mountain biker, snow skier, hiker, camper, backpacker, rock climber, chef and more. What do I look like at the start of training? I’m 17.5% body fat and 198.4 lbs. I imagine this training will trim me up, another goal I’ve wanted to accomplish over the last few years. 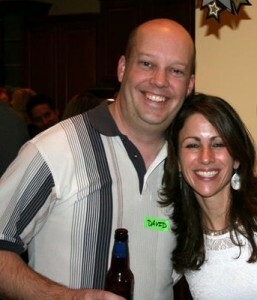 I mean, check out the extra chin on that 2nd one (yes, you can check out Jen too, she is totally cute). I’m not fat, in fact I’m fortunate I’ve never been fat, but I’ve not been trim in a long time. Less weight, more strength. This will enhance the rock climbing I’m currently involved in and will add to my backpacking stamina as well. I feel like I could write forever while I sit here, but alas, sleep calls for tomorrow morning, a month of training begins. Can I keep it up for a month? Will I make that commitment required to train hard so summit success is given the best opportunity? I want it now. I have to want it more. I can’t say I’ll write every day, but every day I train I’ll make a note. If I feel like writing, I will. Mt. Kilimanjaro, are you ready for me? I’m sure you are. Am I ready for you? The test begins. 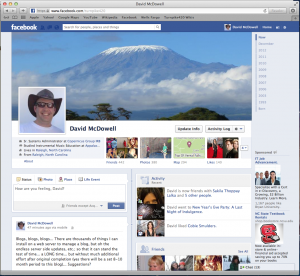 This entry was posted in Kilimanjaro on January 7, 2013 by dmcdowell. Shall I make a summit attempt at one of the Seven Summits? You bet I should! This line drawing of Mt. Kilimanjaro is to remind me of the simple ups and downs I may go through while training for a summit attempt and life in general. This entry was posted in Kilimanjaro on January 3, 2013 by dmcdowell.